Do you struggle to stay away from junk food or have a tough time finding the motivation to really stick to a diet? Do you turn to food when you are stressed or feeling low? Wish you had a healthier relationship with food? Tried to lose weight… nothing seems to work? Tough to find the motivation to really stick to a diet? Finding it hard to shift those last few pounds? Struggle to stay away from junk food? Maybe you just have a weakness for chocolate, crisps or fizzy drinks! Do you turn to junk when you are stressed or feeling low and then feel guilty afterwards? Ultimately my focus is to help you develop a better relationship with food, feel better about yourself, increase your motivation, beat junk food addictions and LOSE WEIGHT! How will you help me lose weight & stay slim? I use a combination of cutting edge psychological techniques to identify and then help you establish a better relationship with food. I can help you deal with comfort and emotional eating. I could make it so you no longer craved chocolate, crisps or fizzy drinks? Use hypnosis to begin to speed up your metabolism so you burn more calories! Put you back in control of your bodies natural signals for being hungry and full. Creating motivation strategies so you find it easy to stick to a plan. The bottom line is we find a solution and approach that will work for you! Whilst changing the way you think about food can be quick, it can obviously take some time to see and experience the results. The first session is to establish what approach will work best for you, and to begin the transformation. Then I usually see people on 3 separate occasions 1 month apart. This allows us time to see the results and to alter the approach accordingly. Unlike some therapists, I don’t book you in for more than 1 session at a time… and I only work with you if YOU feel that it’s making a difference! I knew how to lose weight, and I understood about eating healthy, but I just couldn’t stop myself eating chocolate! After 1 session with Howard I just didn’t fancy chocolate anymore. That was 6 months ago and not only am I still not eating chocolate, I’m now 28 pounds lighter! Thanks again! 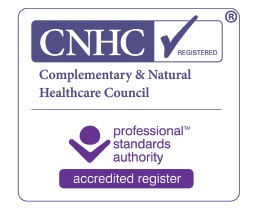 The CNHC Registration is in reference to the practice of hypnotherapy specifically. Thank you! Check your email... it should be there! PLEASE NOTE: On submitting your email we may also send future emails that contain information about events, goods and services that are related to your interest in "Psychological Tips To Improve Your Life". However, your privacy is important to us and you will be able to UNSUBSCRIBE at any time.